Vaginal dryness is unlike dryness on any other part of your body. It can affect women of all ages due to causes that can include stress, menopause, certain medications and breastfeeding. 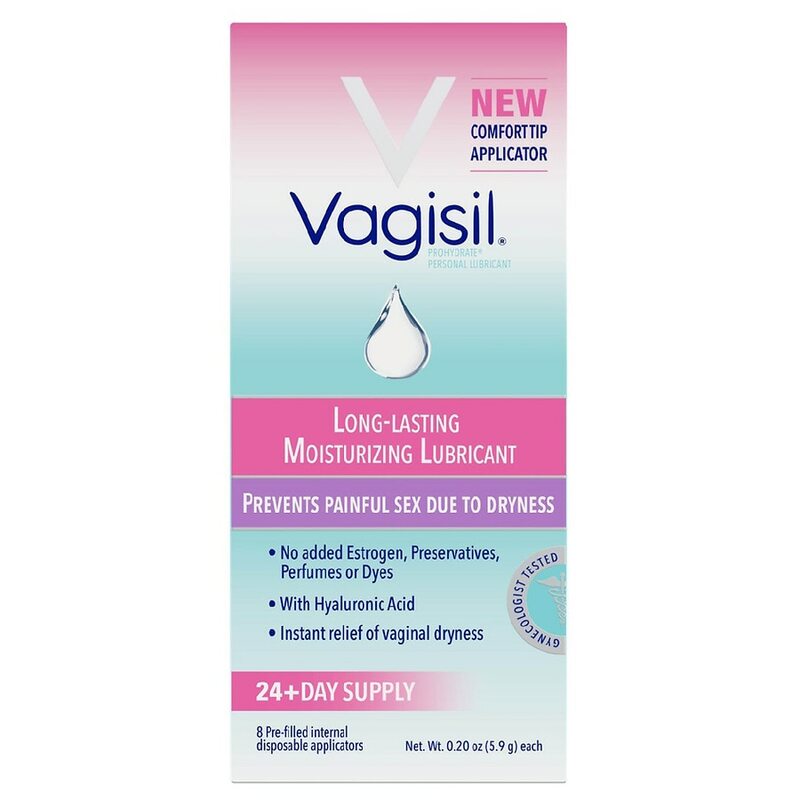 Vagisil ProHydrate works with your body for dryness relief that feels natural so you can feel like yourself again. It contains Hyaluronic Acid, a naturally occurring hydrator that holds 1,000x its weight in water. So relief not only works fast and lasts long, it is discreet so only you know you're using it. Use it to relieve dryness anytime and especially to make intimacy more comfortable. Easy to use applicators target the source of dryness. Bio-adherent for less mess. Vagisil ProHydrate Internal Vaginal Moisturizing Gel is a personal lubricant, for penile and/or vaginal application, intended to moisturize and lubricate, to enhance the ease and comfort of intimate sexual activity, and supplement the body's natural lubrication. Compatible with natural rubber latex and polyisoprene condoms. Tamper evident feature: For your protection, each applicator is individually wrapped. Do not use this product if an applicator wrapper is torn or missing.